Looking for the perfect wedding dress is not an easy task, and finding the perfect wedding dress is pretty much like playing a treasure hunt game. If you're a bride getting married in Egypt you are lucky enough to have endless options when it comes to wedding dress shops. Fustany.com have shared their top 6 wedding boutiques for brides who are looking for their dream wedding dress. Brides go here and there, looking for their dream wedding dress, and when they finally find it, they feel like they've literally aced the most important shopping trip of their lives. We know a bride's time is precious, that's why we decided to help you and share with you six of the best bridal boutiques to buy your Egyptian wedding dresses. If you're looking for a simple bridal look or you want to amp up the drama, you'll certainly find options in the following list. The Spanish high-end retailer of bridal dresses and evening wear has opened its doors in Egypt years ago, and since then, its popularity has been growing like no other. 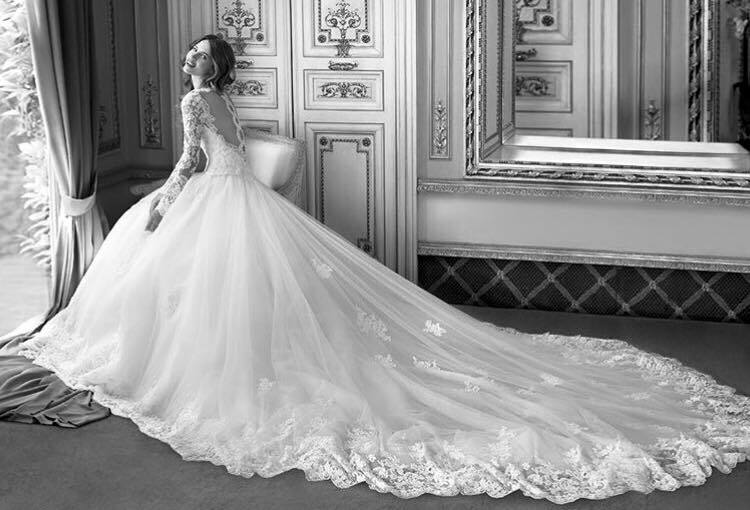 Pronovias offers several collections every season; like Atelier Pronovias and Pronovias Collection. They're known for catering to classic romantic brides, and bold modern ones too. Since Aluras Bridal boutique opened a couple of years ago, they gained huge popularity for the wide variety of wedding dresses and styles that are available there. 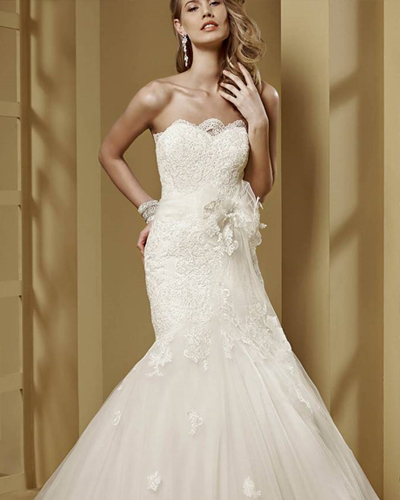 For example, you could find Allure Bridals, Mori Lee, and many others. Blush Boutique is one of the best spots to find your dream wedding dress in Egypt. They carry a selection of evening gowns and bridal fashion, and you could find wedding dresses by Italian designers Nicole Spose, Eddy K, and much more. La Sposa is a famous Spanish label that creates elegant and fashionable wedding dresses. If you're looking for wedding dresses which combine style and high quality, La Sposa is the place to go. Rosa Clará is another Spanish label that recently made its way to Egypt. What's special about Rosa Clará, is that they offer on-trend designs with a classic-feel. That way, brides can buy a wedding dress that they'll surely love forever. Known for bringing in a wide variety of the most popular American bridal designers, The Boutique, has got the seal of approval of many Egyptian brides throughout the past years. When you go check out The Boutique, you will find wedding dresses by Demetrios, Justin Alexander, Ronald Joyce, and much more.